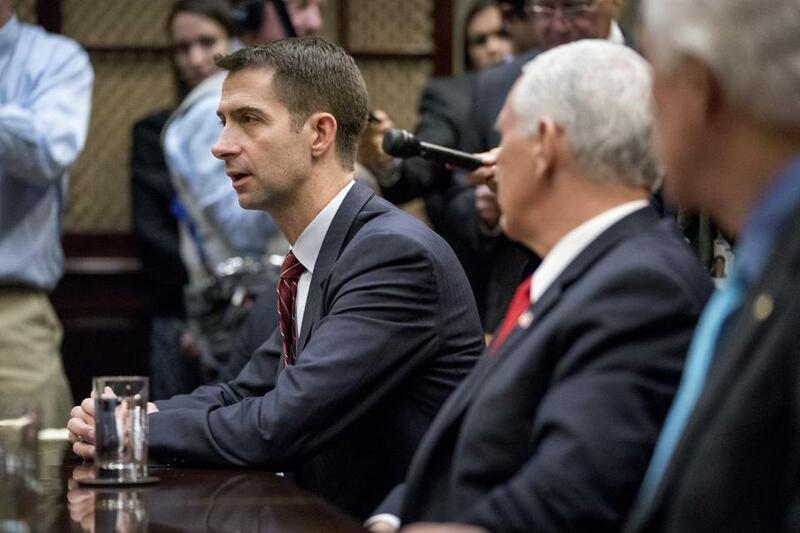 Senator Tom Cotton speaks during a meeting between President Trump and Republican senators on immigration in the Roosevelt Room at the White House, Jan. 4. The Republican Party controls both houses of Congress and the presidency. If its leaders can’t keep the government’s lights on, despite unified control of Washington, it would be an unnerving commentary on the GOP’s ability to handle the most basic tasks of governing. On Friday, though, the federal government is due to shut down unless Congress passes, and President Trump signs, a new spending agreement. Shutting down the federal government would interrupt an array of government services. Americans couldn’t go to national parks; would have to wait longer for their tax refunds; wouldn’t be able to access small-business loan programs. Anticipating the public backlash, Trump and some other Republicans are trying to divert blame to the minority Democrats. It’s an odd tactic. It’s true that many Democrats want no part of any deal unless it includes a separate proposal to protect the children of undocumented immigrants from deportation. But the Democrats don’t run Congress. 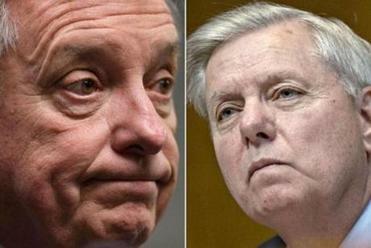 The real problem seems to be that GOP factions — deficit hawks, military hawks, Tea Party zealots, pro- and anti-immigrant legislators, President Trump’s various personalities — can’t agree on a deal among themselves. The president appeared to endorse a plan to include immigration measures in the bill last week but then reversed himself on Thursday. Democrats and Republicans both say they want to keep the government open. But only the GOP has the power to do so. One reason for confusion may be recent history: In recent years, Democrats have often provided Republican leadership with the votes to pass legislation opposed by the far right. Former speaker John Boehner pioneered the tactic, leaning on Democrats to get around the hard-line Freedom Caucus. But now some Republicans, including Trump, are talking about Democratic votes as if it’s something they’re owed. Senator Tom Cotton, an immigration hard-liner, was even demanding “concessions” from the Democrats. a few months away. If the Republicans want to demonstrate competence, now would be a great time to start.